A series of words, about a series of things. Putting together this post was hard, let me tell ya! 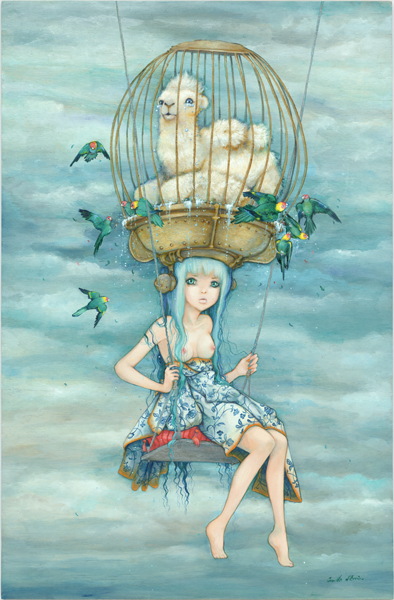 Trying to pick just a few pieces by the phenomenal Camilla D’Errico is no easy feat, but there’s links-a-plenty for you to click and enjoy. The first time I saw Camilla’s work I was instantly in love with her style – I spotted one of her Nightmares & Fairytales covers and just had to have it. 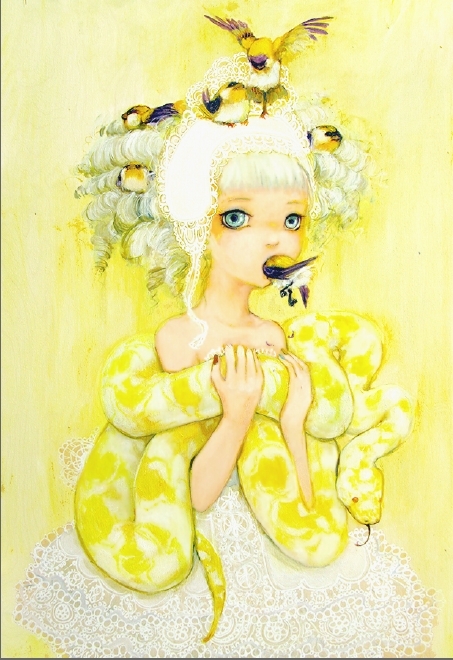 Her signature style is nothing short of beautiful, but the surreal aspects of her work gives each piece a twisted edge. This month, she released a book of artwork, Femina & Fauna, which is a must have and is really high up on my wishlist – along with pretty much everything in her online store! I was delighted to be able to feature her and I hope you’ll adore her work like I do. I’ve always been “interested” in art for as long as I can remember. It’s who I am, it’s what I think about, what drives me. I’ve been drawing since I could hold a pencil! Did you get much encouragement to continue or make a career out of it? Have you studied art or are you self taught? Do you have any plans to study it? I didn’t really study art. I’m mostly self-taught, especially insofar as drawing comics and characters goes. I took an illustration and design degree a few years after I graduated highschool and this gave me many tools that help with graphic design, etc. but in terms of creating art and painting, I’m totally self-taught. I’m inspired my anime and manga, music, my relationships, and lots and lots of visual stimuli I find on the Internet, in art books, and in the world around me. CLAMP, Terada Katsuya, Yoshitomo Nara, Ashley Wood, Raphael, Da Vinci … so many! What are your hopes for your career in art? I’m living my dream already. I have my career and I’m making the most of it. Helmetgirls, as a graphic novel, is my biggest aspiration and even that is happening as we speak. Which of your pieces or projects are you most proud of? 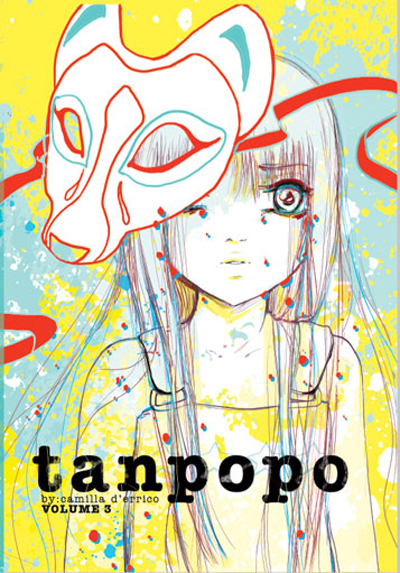 I’m very proud of my Tanpopo series. I’ve created something completely new and different, something that you wouldn’t think could work – but people love it. Mixing literature with a new story. It’s manga influenced with a touch of renaissance. What made you focus more on that area more than another? I’m focused mainly on comics because it’s what excites me. I want to do things that are exciting and that I love. Comics is that. Painting happened by accident, in some ways and has become the “other” area. So comics and painting and I love them both because they give me different ways to express myself. Comics – a regular ‘ol BIC pen and paper, though I’m now starting to work with “pro” comic pens. Taking a while to get the hang of them but I like them. And when painting, I use Holbein DUO water soluble oils on wood panels. I’m working on Tanpopo volumes 4&5, a manga for a Spanish singer, Helmetgirls character sketches and concepts and an illustration for the Transmetropolitan Art Book. What drew you to the characters you base a lot of your work on? I created those characters in my mind, and as I drew or painted them. They come from my imagination and my hand. I wasn’t drawn to them specifically, because they come from within me. Can you give me an idea of your creative process? I start any project by doing tons of research. I spend hours doing research on images, visuals, stories, etc. that inspire me for the work. Then I sketch out the concepts and when I’m happy with one that I feel will have the most impact or that best represents what I want to do, I begin working on it. I got my start in comics by working for a small publisher, Committed Comics, for free, while I was coming out of high school. I kept at it, and did work for them out of passion. Not for money. Then, when I went back to university to get my degree in design and illustration, I got some jobs through the program, did a bit of local freelance work in Vancouver and got noticed. I also approached a gallery in Vancouver, Ayden Gallery, with my paintings that I had done for a university project and they agreed to show my work. That’s what got me my start painting. 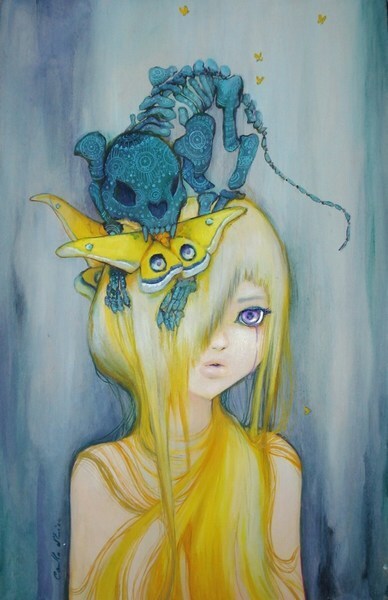 I was discovered by an LA art collector in 2007 and he got me into the LA Pop Surrealism galleries. The rest is history. Writer, reader, artist, nerd, fangirl, movie buff, music luster, computer obsessed, tv freak, mediocre model & actress, poet, make up artist, proud as hell redhead, photo capturer, slacker bohemian, Browncoat, fashion lover, hopeless romantic, knowledge seeker, useless information holder, hoarder.. Perfect definition of a Gemini. Win a Kindle with Donna Grant’s Latest Release!